The basic philosophy of nuclear deterrence in India has not changed, despite recent arguments. 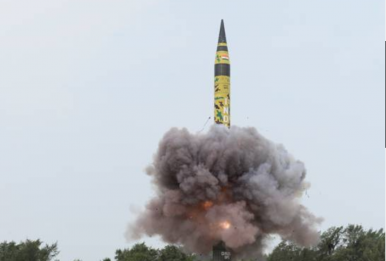 While each scholar and practitioner is entitled to his or her views, a few facts need to be highlighted before a judgment is passed on the kind of nuclear capability development India is undertaking. This reflection is necessary because such conclusions can have repercussions on an adversary’s arsenal build up. In any case, antagonists assume the worst of each other. Analyses that rest on conjectures of capability and are prefaced with phrases such as “most likely,” “potentially,” and “if” could set nations down paths that create more security dilemmas than address them. The general argument being made in such articles is that India is developing a suite of capabilities and increasingly voicing statements in favor of preemption and counterforce, thereby revealing a lack of strategic confidence in current nuclear policies. This assertion is a bit difficult to fathom since no serving government official has expressed any such change. Rather, a recent statement on India’s nuclear capability was made in October last year when Indian Prime Minister Narendra Modi announced the first operational patrol of INS Arihant. He used the occasion, in fact, to reiterate India’s commitment to credible minimum deterrence and no first use. The import of this statement cannot be missed coming as it does from the head of the Political Council of India’s Nuclear Command Authority. When the sitting prime minister of the country has chosen to make no reference to India moving towards a preemptive and counterforce nuclear posture, then should it be so concluded on the basis of statements of some individuals, who certainly matter because of the chairs that they once occupied, but who are currently not in the official loop? Of course, they may be speaking from their conviction on what India’s nuclear strategy should be and might have a view different from the official policy. But that does not make it the Indian position or indicate a change in official policy. Secondly, suggestions which contend that India’s capability developments are inching toward counterforce targeting so as to build a “limited capability to disarm Pakistan” beg a crucial question. Can a limited disarming of Pakistan’s nuclear weapons help India avert retaliation from the left-over arsenal? What would India gain by such a pre-emptive attack that only partially cripples the adversary’s arsenal, while inviting use of nuclear weapons upon itself? The proponents of this view answer these questions by pointing to India’s research and development efforts aimed at development of ballistic missile defense. The two put together, it is argued, could ensure damage limitation and thus embolden India to undertake first strike against Pakistan. The recent anti-satellite test by India, and its linkage with ballistic missile defense technologies, would also be seized to make a similar case. Such arguments fail to consider, or are dismissive of, India’s basic philosophy towards nuclear weapons. Since 1998, India has claimed a deterrent role for its nuclear weapons and has eschewed the idea of fighting a nuclear war. The very act of acquisition of nuclear weapons by India was premised on creating deterrence so that these weapons do not come into play. All attributes of its nuclear doctrine are geared for ensuring the least possibility, if not obviation, of nuclear use. By professing NFU with massive retaliation, the country is signaling that it will not place the adversary on the edge of the ‘use or lose’ dilemma that forces him into a nuclear use decision. The onus of escalation is left to the adversary, but his hand is stayed from the nuclear trigger by the promise of massive retaliation. For minds brought up on the idea of fighting a protracted war with nuclear weapons, the concept of massive retaliation is even more unpalatable. They seem convinced that a countervalue targeting strategy following Pakistan’s use of nuclear weapons on the battlefield cannot be credible. Hence, there is an automatic assumption that counterforce, proportionate response options will be explored by India. This hypothesis, however, yet again refuses to consider, or give adequate weight, to the Indian understanding that nuclear weapons are dramatically different from conventional weapons and so, their use cannot be conceived of in the same manner. Articles that tend to accord pre-emptive counter force capabilities to India and suspect its loyalty to the stated doctrine overlook the overall approach of India to nuclear weapons. This is not surprising given that the Indian view is not a predominant one among the current set of nuclear strategies of other nuclear armed states. This makes it prone to misunderstanding. But, calculations of changes in India’s doctrine based only on statements of few retired individuals, or on the basis of potential capability developments as evinced from few tests, may lead to misleading conclusions. India certainly has the right and the responsibility to explore all options for its national security. The defense and scientific establishment will remain engaged in this effort, as is the case with all other nations. But, to impute motives to such efforts without taking into account the doctrinal underpinnings amounts to ghost hunting. Meanwhile, in case the surmise of these articles is indeed correct and India is engaged in building preemptive counterforce nuclear capabilities, then the nuclear decision makers need to be reminded of the dangers and inefficacy of using nuclear weapons as warfighting instruments. The country must not delude itself into believing that counterforce capabilities along with BMD can help it escape nuclear retaliation. Secure second strike capabilities are available with both its nuclear armed neighbors. No matter how good the Indian intelligence-surveillance-reconnaissance capability complex is and how big the first strike might be, a disarming attack can still not be guaranteed. Therefore, it would be wisest to invest in nuclear deterrence building in such a manner as to signal massive retaliation in case of nuclear use, irrespective of its nature, yield or target. Fighting a nuclear war in installments could prove to be very costly — materially and in human terms. In an age of maximalist nuclear noise, India will need a lot of maturity and courage to hold on to the philosophy of minimum deterrence. One way in which India could avoid temptations and make considered nuclear choices is if it does not forget some basics of nuclear weapons: the reality that these are weapons in a category of their own. The reason that they have never been used since 1945 and why a nuclear taboo against their use exists is because of their high damage potential. Instantaneous release of large amounts of energy in the form of blast and thermal heat, ionizing radiation, as well as long-term radiation from nuclear fallout are natural attributes of every nuclear explosion. Given this nature, they are best suited as punishment weapons, not the kinds that can facilitate rational war aims. Having wargamed all kinds of targeting strategies, the United States and Russia reached a conclusion in the late 1980s that there is nothing like a “limited nuclear war” and that there can be no mini or micro nuclear weapon that could be used conventionally. In the context of Southern Asia, given its density of populations, there can be no nuclear attacks carried out with surgically precise accuracy that can make them acceptable. Nuclear decision-making cannot afford to lose sight of these basics. Temptations to build capabilities that seem to hold out the promise of limited nuclear war by confining attacks to counterforce targets can only be illusory, even downright dangerous. This would amount to ghost hunting too. Manpreet Sethi is senior fellow and project leader on Nuclear Security at the Centre for Air Power Studies in New Delhi. India's latest joint military doctrinal document offers new insight. Nuclear South Asia and Coming to Terms With 'No First-Use' With Indian CharacteristicsIndia Inches Closer to Credible Nuclear Triad With K-4 SLBM TestAt Indian General Election Rallies, Modi Beats the Nuclear DrumsBook Review: Indian Nuclear PolicyWill India Nuclearize the BrahMos Supersonic Cruise Missile?